Employers should regularly review their plan documents, summary plan descriptions, and other documents to ensure consistency with the ever-changing Affordable Care Act. If the employee handbook contains compensation and benefit information, the handbook language also must be regularly revised to reflect the Act’s mandates and policy changes. For instance, handbooks often specify whether the healthcare coverage extends to part-time employees. For employers subject to the Affordable Care Act, the term “part-time” should be updated to reflect the lowered threshold from 40 hours per week to 30 hours for health insurance purposes. If the term is defined differently for other purposes, such as pay and vacation, the handbook must spell it out. Handbooks should also identify whether the employer is using the Act’s look-back measurement and waiting periods. 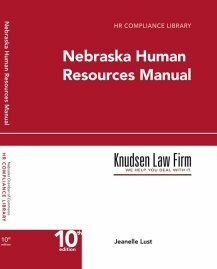 If an employee handbook contains benefits information, employees should be advised that the handbook only provides a summary, and that the separate summary plan description and other plan documents supersede the handbook if the information in them conflicts with the information in the handbook. The handbook should state where a copy of the summary plan description is located. The employer should also reserve the right to modify or discontinue the benefits described in the handbook at its sole discretion.